So we at HiWorks and at Studio Balcones have been hard at work for the past several months on designing a new central quad for Keystone School here in San Antonio. When we heard the school's Parent Teacher Organization was sponsoring a gingerbread house competition, it naturally occurred to us to produce an "unofficial" entry. 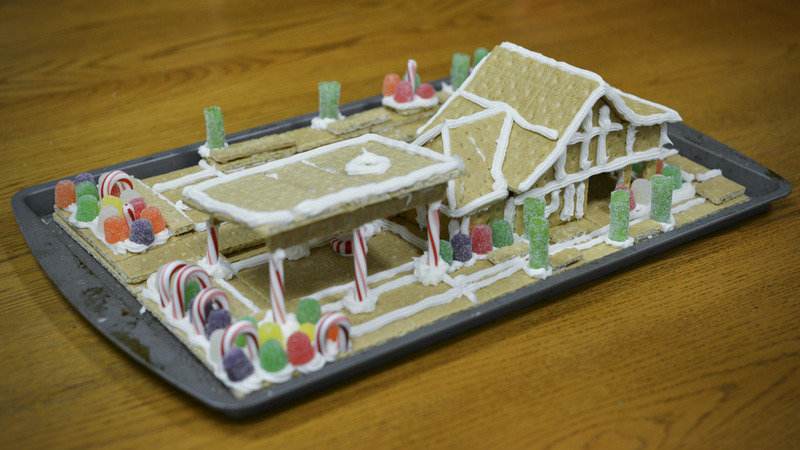 For the record, modeling in gingerbread is not an easy task. We (and by "we" I mean my 4-year-old daughter and I) substituted graham crackers for gingerbread since it seemed like a more workable material. Even so rendering the design at scale was challenging. Icing, as it turns out, doesn't form a good moment connection and it is difficult to sand candy canes.